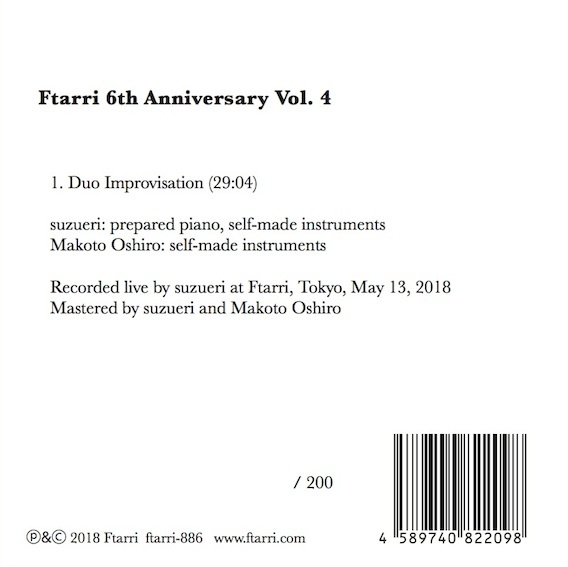 This is the 4th CD release commemorating the 6th anniversary of Ftarri, the CD shop in Suidobashi, Tokyo. suzueri uses prepared piano and several self-made instruments placed nearby to produce a variety of original sounds, which she combines in constructing her performances. Makoto Oshiro continues to create new sounds with the many new self-made instruments he devises. 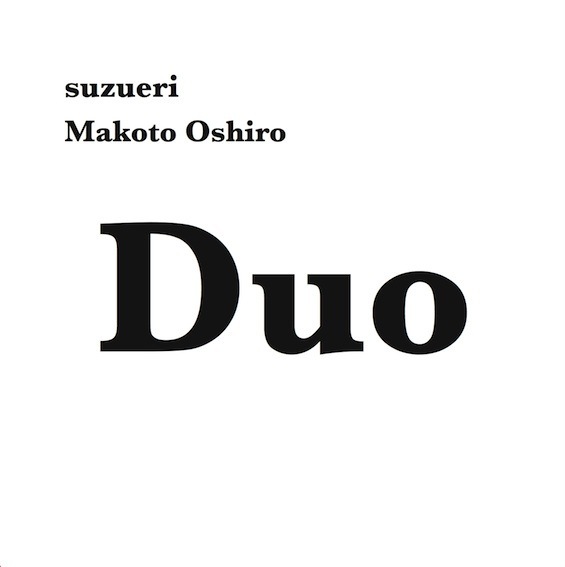 A duo performance by these unique musicians is recorded on this CD. Amid the drone formed by the roar of many sounds, suzueri furiously pounds the keyboard with both hands. The CD consists of one 29-minute track. Listeners who immerse themselves in the sound are certain to stimulate their brain in a powerful way.